Francesco Chiot is an independent photographer and videomaker. 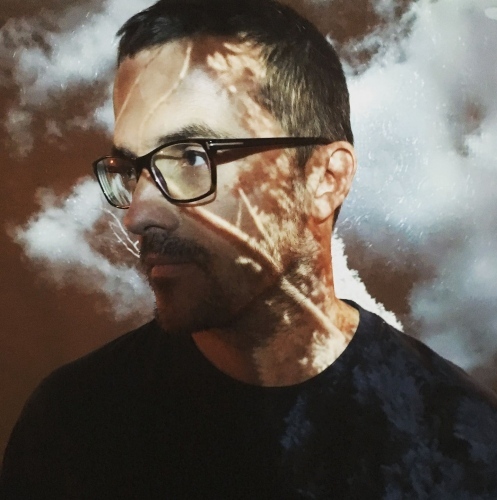 During his ten year activity as a photographer he collaborated with visual artists, musicians and performers to explore the connections between identity, perception and expression using mediums ranging from film photography to digital infrared photography and from traditional to 360 video. His work has been exhibited in festivals and happenings revolving around the issues of mental health (ElsewhereART festival, Trieste 2012 and LUMEN festival, Salerno 2011) , cultural and personal identity (Another Kind of Paradise - New York 2018, Marigram - New York 2018 and Inside/Out - Trieste 2012). After joining the International Center of Photography of New York as a Video Producer and Teaching Assistant for the Photojournalism seminar, he is currently working as an independent video maker and producer in Trieste. Someone once told me the perception can be divided in windows and mirrors. When we look, we either see through into reality, or we see ourselves reflected back. Truth also says that no matter how clean a window can be, it will always have a bit of our reflection in it. It has always intrigued me and I constantly asked myself what am I looking at, what am I listening to, what am I thinking about, what am I feeling. Am I really seeing through the window, or is it just my blurry reflection I am seeing. Through time, I became more interested in the world outside the window, but kept asking the same questions. What is he seeing, what is she hearing, what are they thinking, how are you feeling. I practice in seeing the mirrors, keeping my window clean and my reflection familiar. These questions and this practice make me interested in the perspective of identity, belonging, culture, heritage, history, pride. Who am I, who is my family, what do I believe in , what do I stand for, what do I need, what am I bringing with me.